Christmas and the New Year are classic occasions for fine stationery and special items to celebrate this time of the year. They are countless. And some of them stand out. As a child I loved opening letters, especially those of penpals from all over the world sent. I haven’t lost all of them. Some still write with the passion we shared in our written past. Interesting enough, a friend of mine prefers to write all her letters with one of her oldest pencils. In fact, I know people who would take the pencil if they had to decide between it and a fine and elegant fountain pen. Now a fine old pencil has been remade and is available for a limited period of time. Faber-Castell’s „Polygrades“ is a pencil full of nostalgy and comes with a story. It’s about Lothar Faber from Stein in Bavaria, Germany. As a 20-year-old, this descendant of the Faber-Castell family spent a time in Paris. It was around 1830. Lothar faber made enquiries on the market for pens and pencils and their production methods in France. 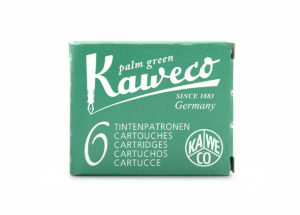 According to Lothar Faber, their factory at home, A. W. Faber’s, was not able to rival French and British products. He wanted to create something mor elegant and of a fine quality. 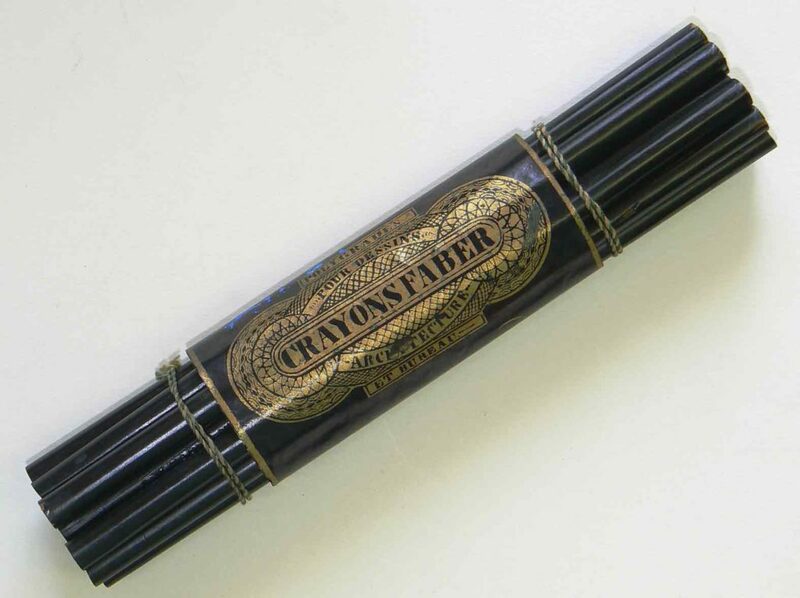 In 1837, still in Paris, Lothar Faber launched special black pencils with a golden label. They came in different degrees of hardness. He offered his Polygrades in a matching black case. 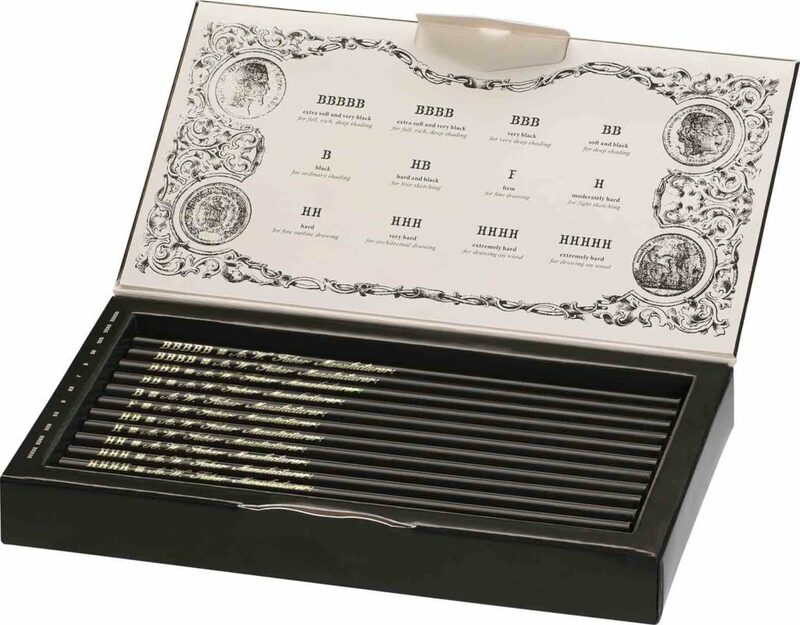 Now Faber-Castell offers a Gift set of 12 Polygrades pencils in a limited number. They come with different degrees of hardness and may be sharpened by cutter.- About 25 Euros. For me, a fountain pen still fits best when it comes to writing letters and cards, especially christmas and new year’s greetings. At “Hase Weiss”, a wonderful little shop in Berlin, I came across a nice fountain pen. 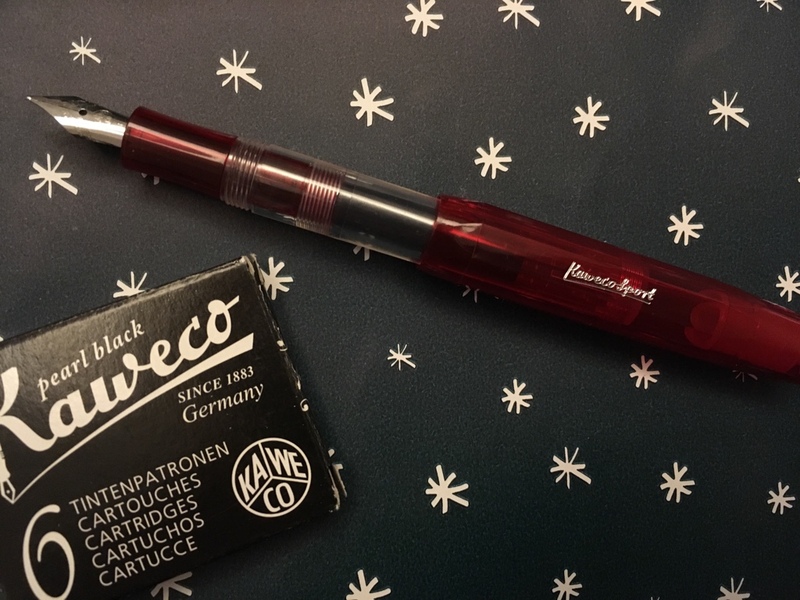 My Kaweco ICE Sport Fountain Pen in red colour was a spontaneous purchase. It is not elegant but neat and makes a fine caption. I purchased matching green ink cartridges to colour my christmas greetings. Well, I now should think about a good place to keep it. My daughter will love it.- About 20 Euros. By the way, Anna Pfeiffer, owner of “Hase Weiss” shop in Berlin, has an excellent taste when it comes to fine stationery, children’s books and pens. In her shop she offers a wonderful range of products for children. But even adults like me may spend hours in this hidden gem. Berlin visitors, go ahead! 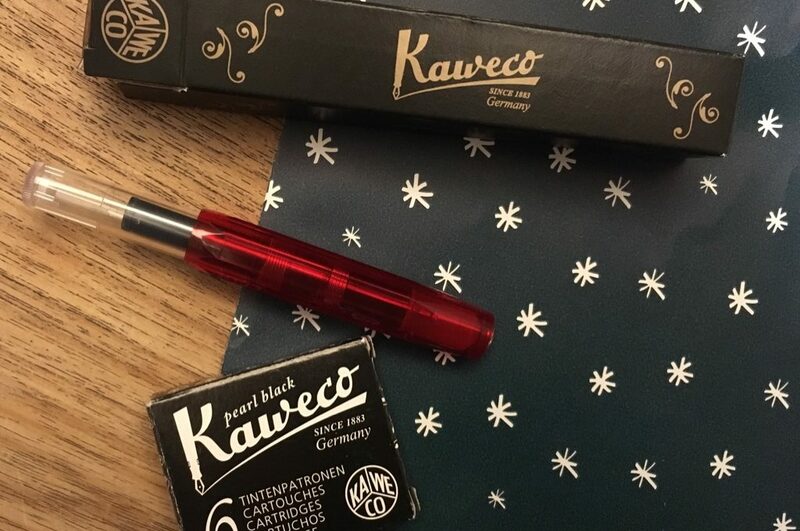 Kaweco also offers another sort of pen which matches winter and christmas time. 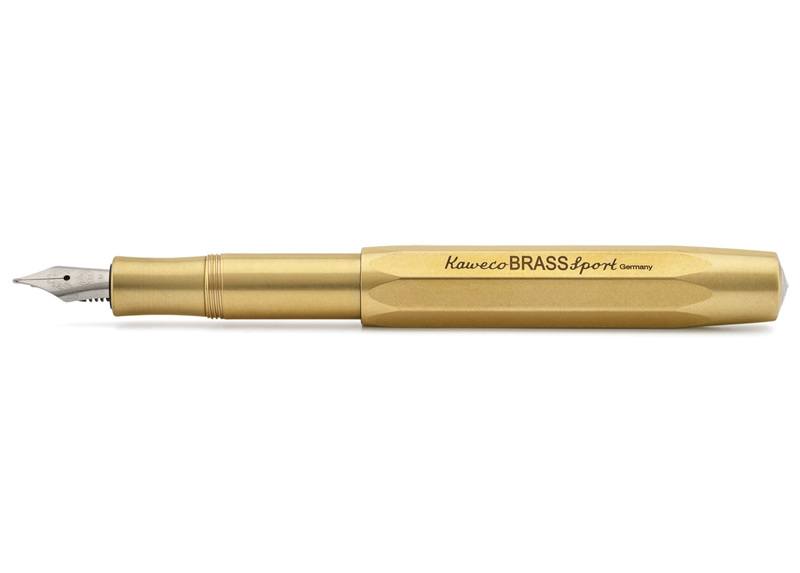 It’s called Kaweco Brass Sport. The manufacturer from Nürnberg, Bavaria has nice black or brown leather cases in store, too.- Fountain pen: about 73 Euros. As we all know, events like Christmas and New Year come with a large number of artists and motives for greeting cards. Two motives of Berlin artist Lilli Gärtner are simply irresistible. 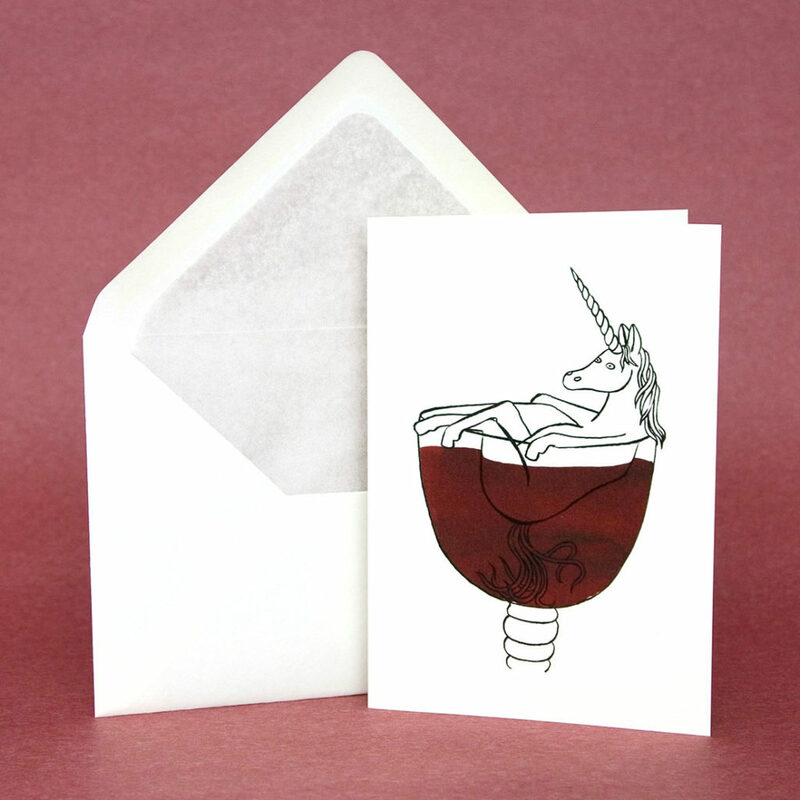 Look at her Unicorn Wine, a unicorn taking a bath in red wine. A real smash! “I created the Unicorn Wine greeting card in co-operation with the British Noble Rot Wine Magazine”, Lilli Gärtner says. Another lovely item is Lilli Gärtner’s Happy Holiday! 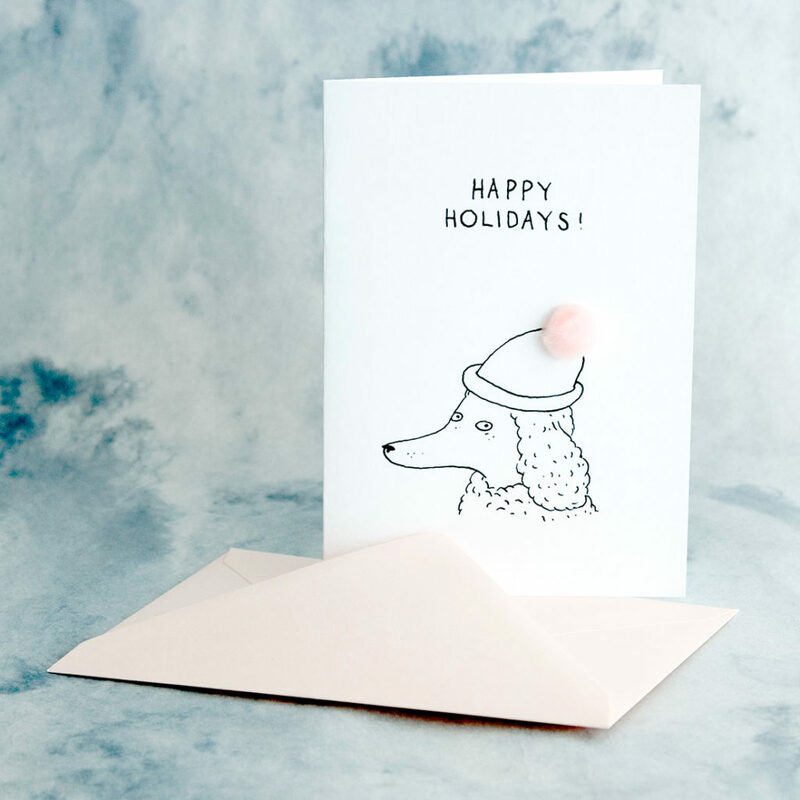 greeting card with a poodle wearing a bobble hat. It comes with a hand-sticked light pink pompom and an envelope in a matching colour. Lilli Gärtner has just finished the drawings for her first own children’s picture book. In 2014, she published Mittwacht (Verlagshaus Berlin), co-operating with author Thomas Podhostnik. Another little label I recently discovered is souci. A shop in my neighbourhood, “Charmant”, sells Kerstin Sorge‘s nice greeting cards. Sorge is a Berlin illustrator, graphic designer, and photographer. Her work is a mix of genres with paper, camera and tablet as equal media. “I sometimes capture trends, for instance by camera, which I transform into paper art. 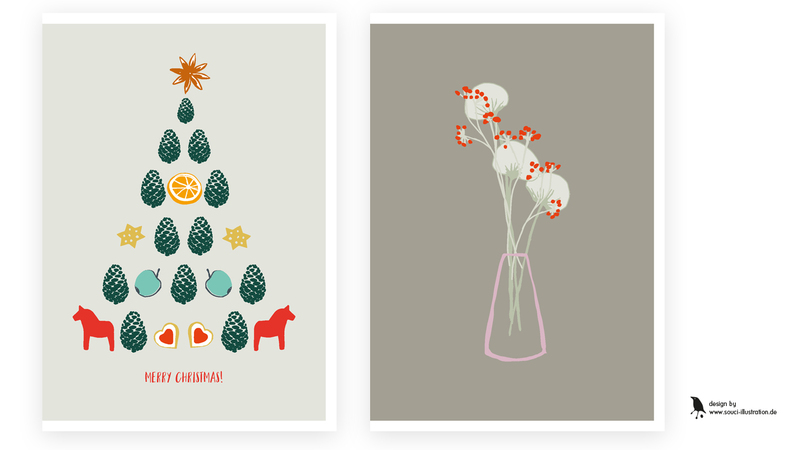 My ‘Christmas Tree’ greeting card is an example of such a process”, Kerstin Sorge says.